Every year it becomes increasingly difficult to find unique cultures that are untouched by modernization. In this "age of information," we realize that naming a tiny village on a website can attract "trophy travelers" who care little or nothing about the tremendous loss when once secret places are turned overnight into tourist meccas. So we are cautious about exposing names of remote places on our day to day itineraries, which are never posted on our website. Even as our research is intensified, our friendships and contacts are broadened, and we try to limit our choice of travelers to those who can share our philosophy of responsible and sustainable tourism. Enjoy Kathleen Fung's Travel Blog. Far Fung Places, through private organizations, assists needy people in preserving ancient cultures, by elevating standards of living, and by encouraging their creativity and arts to flourish. Every year we invest a percentage of our profits to charities which serve a variety of humanitarian projects throughout the countries we visit. In Bhutan, we contribute to the Loden Foundation®, a non-profit organization which supports young entrepreneurs who are starting businesses in Bhutan. Years ago Far Fung Places launched its exploratory small yacht cruises in eastern Indonesia in conjunction with a renowned Indonesian explorer, art curator, and lecturer. We charter yachts designed for a maximum of 15 travelers, so that our impact on these fragile isolated cultures will be minimal. Unlike larger cruise ships, our shallow-draught yachts are able to access remote islands. 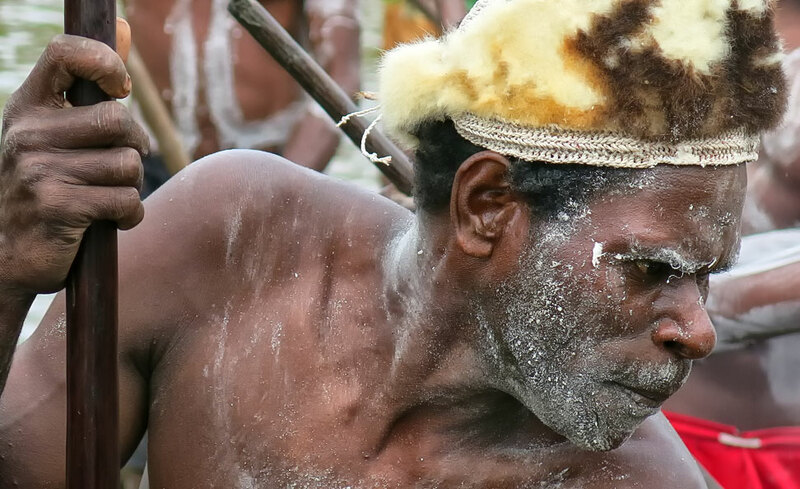 The experiences you will have with the local people are genuine, not staged for travelers. The artwork is profound, much of it done in hardwood like ironwood, and not made commercially for tourism. Nightly talks on the cultures, traditions, and artistic creations will expand your appreciation for these indigenous people. We want our footprint to be small; therefore, our exploratory cruises are limited in size and number. We have expanded our sailing route to the Indonesian Spice Islands to include the Banda Islands, where the lucrative spice trade was already flourishing before the colonial powers established their foothold in the 16th century. The impressive remains of the Dutch occupation, including forts and ancient cannons—some still found under trees—colorful ports, and a coral wonderland with more than 397 species of coral are a magnet for marine researchers and divers worldwide. The Banda Islands have been nominated as a mixed site on the UNESCO World Heritage List. We are excited to be able to offer both northern and southern trade routes in one exceptional voyage, September 27 to October 14, 2019. Join Kathleen Fung and Phyllis Hischier, a renowned expert on the Asmat culture, as we cruise into the jungles of West Papua, Indonesia, and visit the Asmat people. We are chartering the luxury Mutiara Yacht, a 47-metre double mast yacht that closely resembles an18th century North Atlantic schooner. Each cabin is air-conditioned and has a private bathroom. With an overall length of more than 145 feet the vessel has comfortable staterooms. On the main deck there is an air-conditioned saloon, library, lounge area and an intimate dining room that seats up to 14 guests at a finely carved wooden table.